Our COSCO tracking system allows you to track your COSCON Container cargo by entering the Bill of Lading or Tracking Number (or Booking Reference Number). The track and trace system provides details about searched container cargo location instantly. The online tracker will redirect you to COSCO (COSCON) Container Tracking Page after clicking the track button. Note: COSCO tracker system supports Domestic and International COSCO Container tracking. Bill of lading number (also called BL Number or BOL Number or B/L Number) is required to track your container or vessel. COSCO Container Lines currently operates a fleet of more than 160 container vessels with a total capacity exceeding 750,000 TEU. 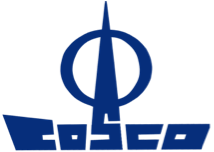 COSCO has operated on nearly 40 global shipping services, including Transpacific, Japan/Australia, China/Australia and Far East/Europe, covering more than a hundred major ports, running over a thousand branch agencies, connecting all transport hubs and radiating towards each corner of the world. 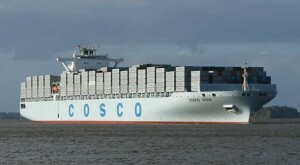 COSCO Container Lines also owns over 300 service agencies in China covering the road, railway, coastal and air transport hubs, as well as connecting major cities, such as Guangzhou, Dalian, Qingdao, Tianjin, Shanghai, Wuhan, Xi’an, among the services and transport networks. The multi-modes service offered by COSCON Container Lines covers the 5 continents including Africa, Asia, Australia, America and Europe, which ensures the seamless transportation services around the clock. Showing 1-100 of 1,017 items.